I saved the museums till the very last day because I was waiting for a rainy day (never did happen, can’t complain!) Instead towards the end of my stay in Bogota, I had two muse-see museums, Botero Museum and the Gold Museum, and one collateral. 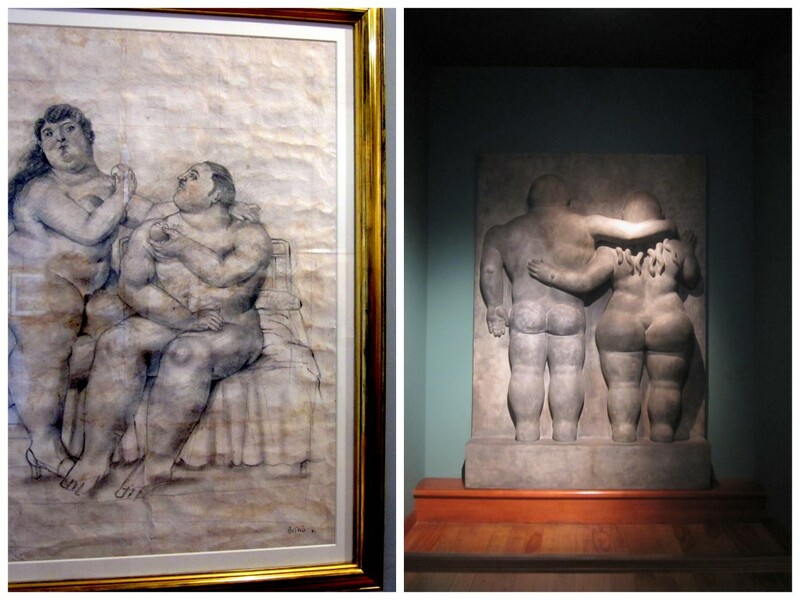 The Botero museum was a must see because everyone at the hostel and on Trip Advisor raved about it. 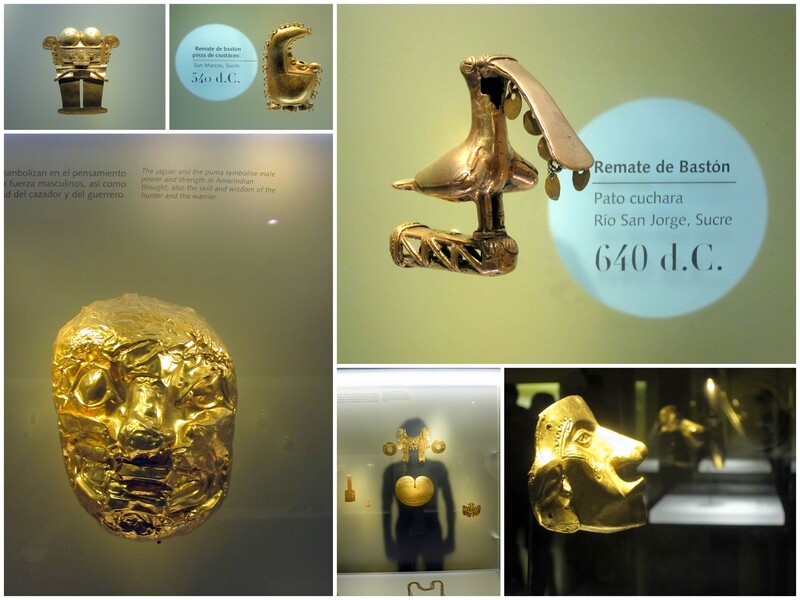 And the Gold Museum has the largest pre-Hispanic gold work collection in the world. Born in 1932, Fernando Botero is still alive and well.His signature style, also known as “Boterismo”, depicts people and figures in large, exaggerated volume, which, depending on the piece, can represent political criticism or humor. He is considered the most recognized and quoted living artist from Latin America. The museum is free to enter and all pieces were donated by Botero. There were also pieces of art on display by other famed artists such as Monet, Picasso and Matisse. 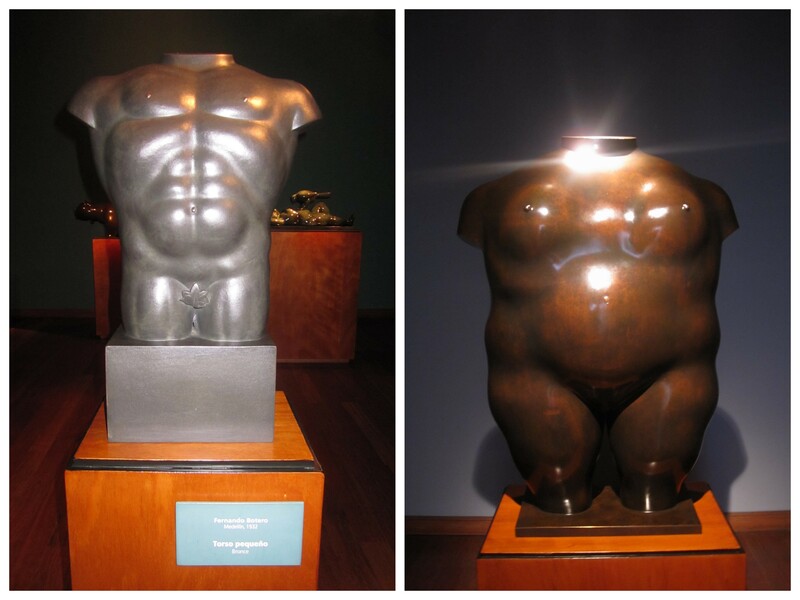 The “small” torso and the “normal” torso in Botero’s eyes. With the largest pre-Hispanic gold work collection in the world, the Gold Museum was a grave robber’s dream. There were four levels of exhibits above ground, plus a seasonal exhibit on the lower floor, fill with delicate pieces of gold crafted for decorative and practical use. A goldsmith pressed seven sheets of gold unto a sea snail. The natural shell has deteriorated, but the gold still retains its shape.